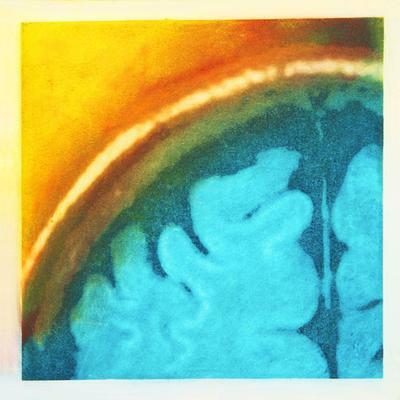 "In “Self Portrait of the Artist’s Brain I,” artist Elizabeth Jameson saturates an MRI with vibrant colors of French dye on silk, to portray herself as a person with energy and passion, despite having a brain disease that threatens those qualities. - See more here." (Clicking link will open a new window). You can read her contribution to our Art Gallery by clicking here or on her artwork. Isn't it amazing how a person can have a disease like MS and still make something so beautiful from it? I love the vibrant colors, the emotions that come from her artwork, and that they are made on silk. So beautiful. Elizabeth is an inspiration to everyone she meets. She seeks to inspire MSers to look beyond the pain that their MRI scan brought about in their lives. She was able to look beyond, or maybe a better choice would be deeper into, her growing pile of scans to find something beautiful and meaningful. 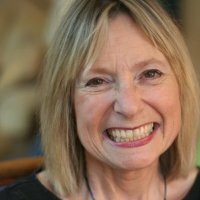 After graduating from Stanford in 1973 and then from Boalt Hall School of Law in 1976, Elizabeth began a career as a lawyer defending the civil rights of, somewhat ironically, children with chronic illness and disabilities. After developing a lesion in what is called the Broca's area of the brain, she was unable to talk or walk. She went through intensive therapy, and was able to regain her ability to speak and she is also able to walk and get around with the help of mobility aides. Unfortunately, when she was diagnosed with a progressive form of multiple sclerosis, her career came to an end in 1992. With her career cut short, she experienced a deep depression. Her life in the past had been meaningful because she was able to help others. Now she was faced with an overwhelming question - "What am I going to do now?" She finally decided to take an art class and it became, in a sense, her salvation. 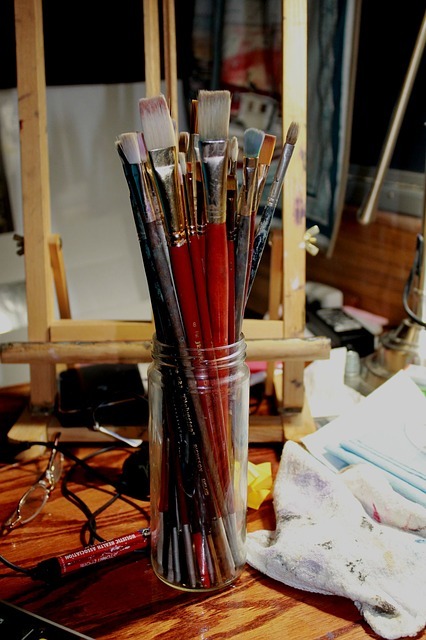 She "fell in love" with everything about the process - from the feel of the paint brushes in her hand, to the smell of the paint. As a lawyer, she had devoted her life to making the world better by helping those less fortunate than herself. Now with her art, she could continue on this quest to make the world a better place by creating beauty where there was once pain. Although not all of her paintings are of brains - she loves painting flowers, people, or anything else that makes her happy - many are of this complex, and wonderful organ. When she paints her brain art, it helps to give meaning to MS.
She sees the MRI scan of the brain as a symbol of multiple sclerosis. After being diagnosed, she spent a significant amount of time inside those MRI machines getting scan after scan. It only seemed natural that she devote some part of her art to those mesmerizing images that represent so much to every person with MS.
She wanted to somehow change that negative, overwhelming, feeling that each and every MRI evoked. Her art could again bring meaning and beauty to an otherwise devastating situation. As a teacher of medical students, she could include images of her art in her lessons in order to give her students a different perspective of the brain. Maybe they could see not just a cold, diagnostic image, but a beautiful and complex one. She even hopes to inspire neurologists who see her art to begin to use "softer language" when speaking about the brain MRI's to their MS patients. And she also hopes to inspire MSers to not be afraid of their brain scans and what they represent. Yes, the damage you find there is what inevitably changed your life, but hopefully her art can also challenge you to look past the negative and see the beauty there. Perhaps there is beauty in everything around us. We just have to look a little closer to find it. Below you'll find a short video interview of Elizabeth Jameson as she explains, in her own words, the reason she does her art. Enjoy! Go from Elizabeth Jameson back to Famous People with MS.
(The following links will open a new window).